MBA in Hospital and Healthcare Management is a two year full time programme. The main objective of the programme is to build knowledge, develop skills and expose the students to real work situations in hospitals and healthcare organizations. Healthcare sector, is a rapidly growing industry across the world, it is no more just rendering the required medical assistance to the suffering individual. It has gained greater significance in recent years. There has been a paradigm shift in the healthcare sector and a holistic approach is required to confront the challenges faced by the industry. An MBA in Hospital and Healthcare Management produces a progeny of healthcare managers who can effectively enrich the healthcare sector through their managerial abilities. B.E. & B.Tech., AMIE, AMAeSI. Application Procedure Application form can be availed in person or downloaded from our website. Duly completed form is to be submitted along with requisite processing fee of Rs.1500/- by cash / DD in favour of “MEDICAL RESEARCH FOUNDATION”, payable at Chennai. 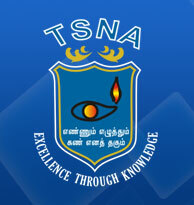 The SN Academy is presently manned by experienced Faculty members drawn from different universities and industries. The institute also endeavors to bring the industrial executives and eminent doctors as adjunct and visiting faculty to share their rich experience with our budding Hospital Administrators. Health care is one of the fastest growing sectors in India. There are enormous career opportunities in this sector. The Hospital and Healthcare Management programme aims at preparing young and bright graduates for challenging careers in health care organizations like Corporate Hospitals, Insurance Companies, NGOs, Health Care Information Technology and Public Health Organizations. The Academy also provides placement assistance.